A staggering amount of digitally-focused companies launch every year, and none of these companies can operate without a dedicated team of IT professionals. Numerous avenues have opened for aspiring IT professionals seeking professional certifications. For example, this Ultimate IT Certification Training Bundle features prep courses for some of the most popular IT certifications on the market. You can find it here for $39. There are many IT certification providers on the market. 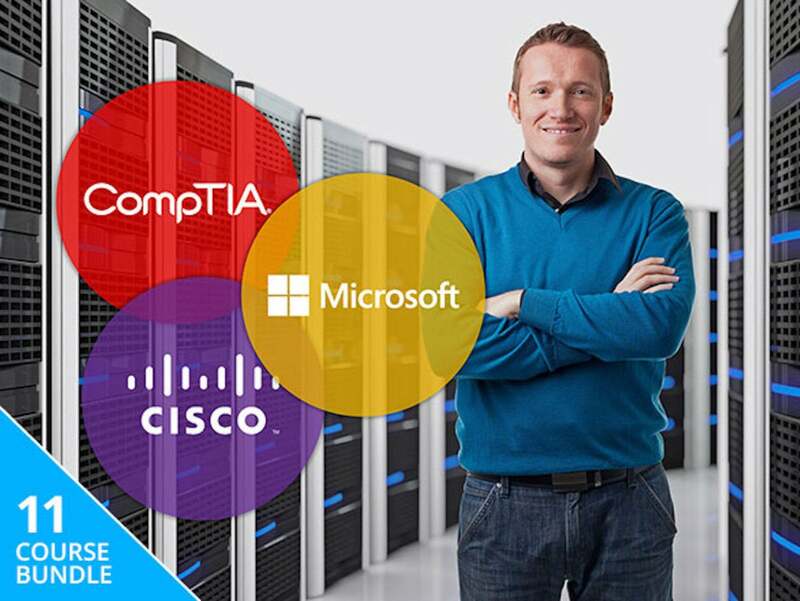 This bundle features courses for IT certifications from CompTIA, Microsoft, and Cisco. These courses range from beginner certifications such as CompTIA A+ up to advanced certifications such as CompTIA Cloud+. We’ll go over a few of courses in this bundle. Those with little-to-no experience can be introduced to IT with the CompTIA A+ certification. IT professionals with this certification will understand troubleshooting theory, installing and configuring PC systems, and mobile operating systems, such as Android and iOS. This bundle features two courses dedicated to the CompTIA A+ certification exams: 220-901 and 220-902. CompTIA A+ is just an entry-level certification; IT professionals need to earn more experience and certifications to move up in their career path. For some, the next step may be the Cisco CCNA Routing and Switching Certification, which is covered by the ICND1 and ICND2 courses in this bundle. IT professionals with a CCNA Routing and Switching certification are capable of implementing local networks and internet connectivity, and managing and securing network devices. Cloud computing has experienced unprecedented growth recently, so companies are keeping their eyes out for cloud engineers and managers. This bundle features a prep course for the CV0-002 CompTIA Cloud+ exam, which tests your knowledge on how to incorporate and manage cloud technologies. Each course in the Ultimate IT Certification Training Bundle costs $299, for a total of $3,289. However, this 98% off deal on the Computerworld Shop lowers the price to $39.